D&D: Angelic Preservation. Posted by Timmy. Timothius glances to Joe. "I doubt our requests for provision have been taken the wrong way. This is a potentially deadly mission with more than ourselves at stake." Timothius nods to the Abbot. "Thank you." Timothius then looks over to the page. "You have been silent, but holding something back. Might I ask what is bothering you?" Hazel does the doggy headtilt, looking at the page. The abbot nods. "Thank you right back. May the blessings of heaven be with you. I would like for you to familiarize yourselves with these books as you travel." The first is Saint Akbar's, "Fieldbook of Warnings - A guidebook to dangers that adventurers often fall for." Mits lights up. "Oh hey! I know that book like the back of my hand! 'Beware of welcoming hermit cottages. There is a monster that disguises itself to appear to be one and swallows whole those who enter.'" The abbot smiles and hands over the second book, "A History Of The Church of Vigilance." The page frowns and answers, "I don't trust you lot. I haven't seen any real proof for any of your claims." "My claims have been a willingness to not steal pies, and that I am a human who uses a bow and arrows. As I doubt your mood would improved if I shot a moving person over a hundred feet away, feel free to present a pie for me to refrain from eating instead. If not, then your problems will not solve themselves, so we must be going. Of course, I will happily hand over the equipment if it means you deal with it yourself." This message was last edited by the player at 08:16, Wed 27 Apr 2016. Hazel says, "Proof comes by reputation, but really, word hasn't reached this far about how you guys rescued goblins. And from what I'm told, unless the goblins tell people about what happened, and those people somehow trust the word of goblins, that reputation will never be spread." Timothius nods to the page and gives him a bow. "Thank you for your honest answer. Most people who are asked to do a task are asked because the person assigning the task believes the person capable of the task. A man who opens his woodcrafting shop for the first time is payed to craft things from wood. People do not ask if the workmanship inside the shop was made by him, they simply trust that it is. When a cleric walks into a church, people show him respect because he has all the markings of a cleric. They don't ask him to prove he is a cleric. None of us knows what might happen even the next minute, yet still we go forward. Because we trust. I'm not asking you to somehow change your lack of trust; rather, I commend your caution. But as my friend pointed out, there really isn't much choice. Every day you wait is a gamble, and you will likely have to wait a very long time before another group of adventurers with hero-minded people comes along. I just hope that when we accomplish the task, that your faith in both the good gods and the people who serve them will be restored." Mits points out, "On the other hand, last time we trusted a quest giver to do the right thing by us, we were denied the pay due us for solving their problems for them without bloodshed. So I appreciate the up-front magic item down-payment arrangement. There won't be any contracts I'll have to sign, will there?" The page doesn't look any less agitated, taking much of what's being said as insults. The Abbot looks embarrassed. "Please forgive my young friend's uneasiness. Thank you for your patience and understanding. If you need help along the way or encounter devils too powerful for you to handle, use a sending scroll to tell me your location and any other details you can squeeze in. Number and type of devil, for example." He hands out sending scrolls and Hell rift mending scrolls to each of the heroes. "Let's go get those magic items for you." He begins to lead the way to the quartermaster. Well yeah, Joe was insul-I mean, being perfectly reasonable, what a crazy reaction for the page to have. "Well, hopefully just having those scrolls makes us not need them. Much like having preparations for poison seems to cut down on the amount of poisonous wildlife you encounter." Timothius looks disappointed he was unable to at least help the page a little and follows the abbot. "Everyone will be a bit better when this mess is over... I feel it highly unfortunate that while our timing is good for now, it will only reinforce the king's mentality that you and your church will be fine without your usual contingent." Hazel says, "A temporary problem, really. If you guys keep up your heroics, perhaps you will be able to sit with the king some day and tell him about this adventure." True story! Mav got stung by a scorpion while in a desert terrain. So he bought steel-covered boots. Never encountered scorpions again until he slept in the high-security guest quarters of a hutt.... where he wasn't wearing boots because he was asleep. But I'm glad it happened because that scene proved Chris' point as the scorpion spent all night stinging Chris' "See? STR is the god stat in D6" character to no avail. "They're not cheap to make, so please keep them safe on your return trip," the Abbot answers Joe. "Cool as it would be to brow-beat a king, I'd rather stay out of politics as much as possible," Mits comments. The abbot nods to Timo and Hazel. "Any word in favor of our church will be most appreciated." 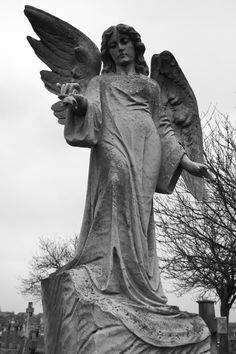 The angel statue bows. "Greetings, Abbot and guests. Most unusual to meet people not of the order." The Abbot explains. The stone angel looks to the heroes to see if they wish to add anything. This message was last edited by the GM at 07:08, Sun 15 May 2016. "Would you have any suggestions for an archer heading off to close those devil rifts your order watches?" Hey, maybe the quartermaster wasn't just thematic, maybe it was actually good at it's job. Timothius and Hazel have nothing to add, but since Joe started the quiz, Hazel asks, "And why the glass? ...are there things we need to know before proceeding?" "Yes, many things," the quartermaster answers, "I trust the Abbot covered the most important things already. Thank you for helping in the absence of your trained members. I recommend most that you take your duties seriously and remain steadfast in the face of temptation." To Hazel she answers, "The glass allows us to see each other while we converse. I'm not sure what more you need to know beyond what the Abbot has told you." She looks at him expectantly. The Abbot gets her caught up on what's been covered so far. She nods. "Very well. I will return with the requested items." Before long the magic items are put in the metal box below the window and it is pushed out. Mits gears up. "Neat setup you got here. Security to rival that of a king's from the looks of things." "'Eternal vigilance,' is an important tenant of this church, the Abbot explains. "I would imagine all this security is only a fraction of the cost of what is inside." The average royal throne room also tends to be less expensive than a single adventurer's equipment list. Well, aside from all those members of royalty with elaborate artifacts for a throne room. Timothius and Hazel gear up as well. Timothius says, "A king only needs protection from mortals. This place is designed to protect the entire kingdom from demons. Supply and demand, as they say." The quartermaster nods. "Glad you understand. Some of the things within the vault are tainted by the dark ones they were looted off of. So please do not loot devils. Much of what they carry is cursed." The Abbot nods and blushes a little. "That's covered in those books I gave you. Please don't take offense at her warning. While it may seem obvious to you not to go near a golden ring you find in the ruins, much less touch it with a ten foot pole, not all adventurers have your level of common sense." Mits shrugs. "No offense taken. Out of curiosity, would you have refused to give this quest to a warlock? Star, dark, etc?" The Abbot answers frankly, "Well that depends. Do they have enough willpower to resist stealing a pie?" Mits busts out laughing! But the Abbot doesn't show signs that he meant that as a joke. "What you read in that book of history may surprise you." It's a good warning in this setting. Where cursed objects only exist when the GM or module specifically wants to screw over a player, unlike other, similar, realities. "You mean that city that fell because someone smuggled a cursed ring to a prisoner inside of a pie?" They probably mean another ridiculously specific example, Joe. Timothius says, "It's fine. Most people have enough caution to realize touching a devil, much less looting one, is a bad idea. But there are those who simply wouldn't realize it." Hazel says, "Waaaait... you're saying it's fine to have anyone do this job as long as they are determined to see it done, regardless of what the person is?" The Abbot smirks wryly at Joe's question and answers, "Why do you supposed I've been bringing up the ability to resist pie?" He laughs. "I kid. I honestly am not familiar with the story he's referring to." He nods to Timothius's explanation and answers Hazel, "To a certain extent, yes. But while there are others here in town I'm sure are perfectly capable and strong willed enough to see the job done, after having met them I don't trust them quite as much as I do your group. Now that I think of it, you should probably be on guard against anything Jimmy the friendly bard says. Half elf. Shoulder length dark hair. Don't think he'd kill you for your magic items, but he certainly has it in him to con you out of them." "Watch out for Jimmy the Jerck, got it." Joe fails to elaborate on his prior ridiculous sounding comment. Timothius says, "Unless there's anything else, we should be on our way. The sooner this is dealt with, the better." Unless stopped, he gives the Abbot a bow and heads off. As a precaution, the Abbot leads the group to the town constable and lets him know that the church has sanctioned these heroes to deal with the late unpleasantness. "Good to hear," the constable answers, giving the group a weirded-out look, "So you came to tell me this becaaause..?" "Because the mission is time sensitive, and I don't want them delayed by petty, jealous adventurers accusing them of stealing church relics. Nor do I want such things wasting your time either. The gear you see them wearing was given to them as down-payment for the dangerous job they'll be doing." The constable shrugs. "OK. Duely noted." Mits huhs. "I actually hadn't thought of that." Lucky smiles to the Abbot. "Thanks for looking out for us!" Timothius ohs and says, "Good thinking. Then if it isn't inconvenient, a note from both of you would be great for fending off said adventurers should it come up." Hazel thinks about it. Another adventuring team. If they are after the relics to steal them and try accusing the heroes, then the paperwork will make them attack. But if they are legitimately concerned for the relics, the paperwork will prevent a needless bout. So it will save time in one instance... come to think of it, since it would cut to the chase with crooks, it saves time there. He just has a spaced-out look, his tail perfectly still. Oh no, they've lost another one to the psychic damage of bureaucracy. He will miss Hazel, they were a good doggy. "I'm getting the feeling you've had to put up with this before." The Abbot nods to Joe. Documents are drawn up and handed over. On the outside of the office, the Abbot prays a blessing over the group then sends them off with his own well wishes. Mits trots along with an eager tail-wag. "Fighting devils! How epic!" Timothius gives Mittens a half-smile and says, "Enjoy the thrill now, while you can. The concept sounds great. But once you fight them, it will be more horror than thrill." Hazel says, "I dunno. No matter how scary they are, if one of them is holding a stolen pie, I will laugh." "While still a serious matter, it will really depend on what kind of devil before we can consider things 'Epic'"
Oh no! It's a Retractable Belt Barrier devil!... The chain devils were busy. This message was last edited by the player at 06:05, Sat 16 July 2016.